How would you like to do a little spelunking in the middle of your next PlayerUnknown’s Battlegrounds match? That’s exactly what you’ll end up doing as soon as PUBG Corp. updates the Savage map and includes a network of caves into the game. 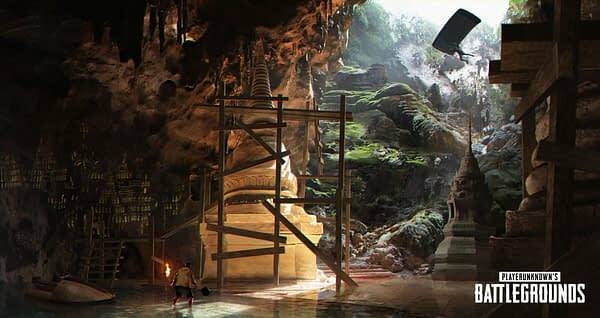 The developers released some interesting updates on their Steam page this week, which includes photos and plans for a series of caves that you’ll be able to five into and find loot in on the Savage map. Of course, just taking a look at the photos below makes us wonder if there was another game being worked on at the time, because whoever inhabited these caves sure didn’t expect their home to become the site of a 100 player deathmatch from above. The entire cave system will be an underground network, sort of like the bunkers you’ve probably fought in from time to time on their other maps, only with a much curvier and intricate system. In theory, if you clear these out, you could pass under people for miles and never get caught in a fight until you had to come above ground. No official date was given as to when we’d see these new features added, so just be on the lookout for the next major patch that isn’t just a bunch of bug fixes.